Investing in lower-income and disadvantaged neighborhoods, when done with community involvement and support, may translate into health and economic gains for residents. To support better policy decisions about neighborhood investment and understand the policy levers that contribute to successful community development, it is important to measure the effects of such investments on residents’ health and neighborhood satisfaction. 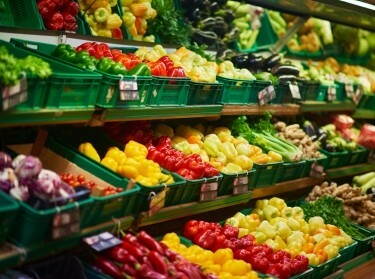 Opening a new full-service supermarket improved residents’ diets and neighborhood satisfaction. In the Hill District neighborhood, once considered a “food desert”—where healthy food options were limited—a new supermarket opened. Homewood is a similar neighborhood a few miles away that continues to be a food desert. The research team followed randomly selected households in both neighborhoods to measure changes in diet and food shopping over time. However, these changes were not related to whether shoppers used the new store. Neighborhood investments were associated with improvement in residents’ economic well-being. During the same period of time, the Hill District benefited from several investments, including the new supermarket, new housing, and greenspace improvements. Although both neighborhoods have experienced investments in housing and greenspace improvements, the concentration and size of investments was substantially larger in the Hill District neighborhood. a slight increase in per capita household income. 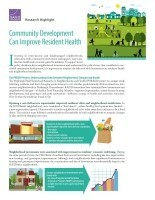 Neighborhoods can shape health outcomes, both day and night. The PHRESH studies are examining how changes in neighborhood conditions influence residents’ physical activity and their sleep. Physical activity is important to numerous health outcomes. Sleep is also increasingly recognized as a critical health behavior that is associated with obesity and other chronic health conditions. However, very little is known about how changes in neighborhood environments influence physical activity or sleep among residents. This study is the first to systematically examine changes in neighborhood conditions in relation to objectively measured physical activity and sleep. Greater exposure to crime was associated with reduced feelings of safety and lower levels of physical activity. Feeling socially tied to the neighborhood, feeling safe, and reporting better neighborhood infrastructure (such as lighting and sidewalks) were related to better sleep quality. 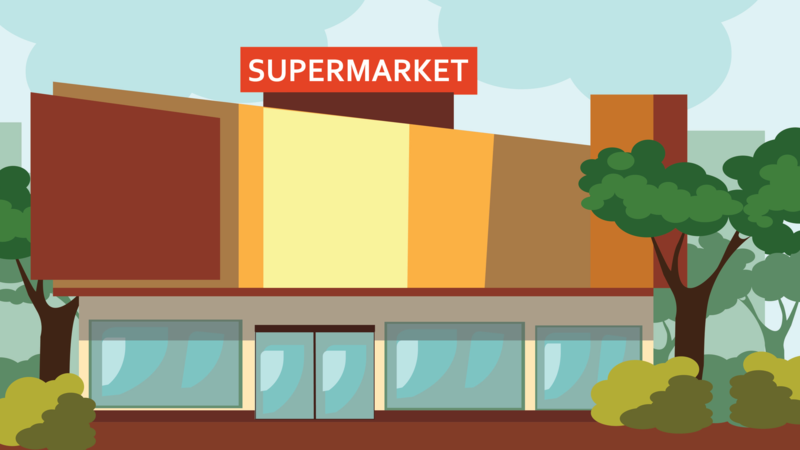 Community improvements—primarily a new supermarket and new housing—were associated with health and economic gains among the residents of an underserved, primarily African-American neighborhood. 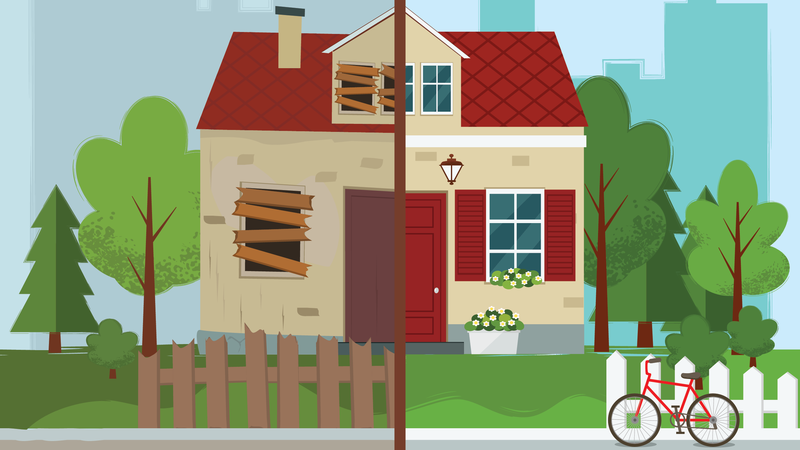 Many of these gains were linked to improved perceptions of neighborhood quality, even if residents did not necessarily make use of the physical improvements. The results thus far suggest that policy interventions in underserved communities that enhance residents’ neighborhood satisfaction and perceived safety may have downstream health and economic benefits. PHRESH continues to follow how neighborhood changes influence residents’ diets, physical activity, sleep, and risk for chronic health conditions. In addition, the PHRESH team is examining how investments in both neighborhoods are associated with economic vitality, as well as residents’ health and well-being. The PHRESH project team is deeply grateful to the residents of these communities and community-based partners who make this research possible. Ultimately, the goal of the PHRESH projects is to identify opportunities for policymakers and community planners to enhance neighborhood conditions to improve residents’ health and well-being and to reduce racial/ethnic and socioeconomic disparities in health. Tamara Dubowitz @TamaraDubowitz, Bonnie Ghosh-Dastidar, et al. Amy Soo Jin DeSantis, Wendy M. Troxel @wendytroxel, et al. This research was conducted by RAND Health. Dubowitz, Tamara, Wendy M. Troxel, Bonnie Ghosh-Dastidar, Deborah A. Cohen, Robin L. Beckman, Elizabeth D. Steiner, Gerald Paul Hunter, Karen Rocío Flórez, Christina Y. Huang, Christine Anne Vaughan, Jennifer Sloan, Shannon N. Zenk, Steven Cummins, Rebecca L. Collins, Amy Soo Jin DeSantis, Lauren Hale, Daniel J. Buysse, Andrea Richardson, and Natalie Colabianchi, Community Development Can Improve Resident Health. Santa Monica, CA: RAND Corporation, 2018. https://www.rand.org/pubs/research_briefs/RB10016.html.